Our passion consists of providing solutions that ease decision making for wildfire and land managers. Our solutions can be used either in desktop, web or mobile apps. We implement customised information and software tools that allow the users reducing the uncertainty in what to do, taking enhanced decisions in a more efficient way. 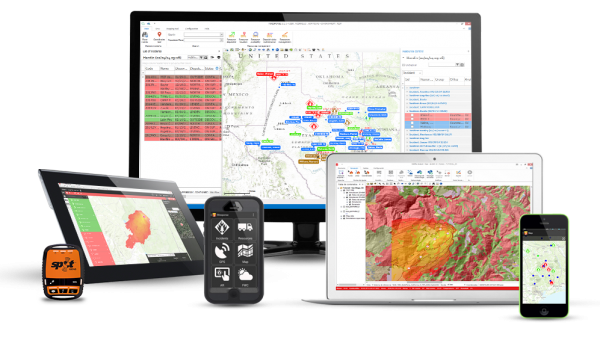 We are specialised in developing solid software solutions for wildfire and forestry resources that provide support in the development of response plans, risk analysis, real-time analysis of wildfires, inventory and quantification of natural resources. Our Strength is based mainly on the collaboration with different administrations, agencies and companies, and on the challenges that we faced together with them, to provide solutions to their needs in their scope of action. Visit our projects page to check some examples of these solutions, of course by the hand of our brilliant customers.